The average 300-room hotel in Dubai will be faced with a bill for AED2.45 million over the coming five years, as bandwidth capability is multiplied to meet rising guest demand, according to the latest data published ahead of Arabian Travel Market 2018, which takes place at Dubai World Trade Centre from April 22-25. 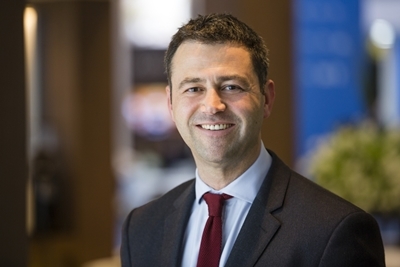 The figure, calculated by Colliers International, is based on the average guest now connecting up to three separate devices to a hotel’s WiFi during their stay, increasing the overall strain on existing bandwidth within each property. Adding to this pressure, the data further reveals that hotels failing to maintain current standards will jeopardise guest loyalty, as 68% of guests reveal they would not return to a hotel with poor internet access, research found. Discussing the defining evolutions of the hospitality technology, the Travel Tech Show will return to ATM 2018 with more than 30 dedicated international exhibitors and an influential agenda of discussion and debate in the Travel Tech Theatre, sponsored by Sabre Corporation, a leading provider of technology to the global travel industry. Travel technology is the fastest growing region at ATM with a 12% increase in exhibitors in 2017, compared to the previous year. On the show floor, attendees will be able to meet with exhibitors such as TravelClick, Travelport, GT Beds, The Booking Expert, INPLASS, XML Holiday, and DidaTravel Technology Ltd.
Exhibiting for the first time at ATM will be Travelflex, a cryptocurrency that aims to solve the scalability issues which other coins are facing at the moment. Looking to the future, the introduction of more chatbots across hotels to deal with common guest queries before, during and after booking is expected, with Colliers predicting as much as 79% of all B2C interactions will be performed by these bots within Middle Eastern hotels by 2020. Another key development is the piloting of Bluetooth beacons across hotel lobbies and public spaces, allowing for on demand flash marketing to be sent via hotel apps. In addition, virtual payment systems are tipped to be highly influential with fintech developments such as Apple Pay, Samsung Pay and Google Pay eliminating the number of cash payments. Colliers predicts half of hotel payments will be made using either mobile or virtual payment platforms by 2021. Kick starting discussions in the Travel Tech Theatre, a social media specialist panel will explore how to create a Unique Selling Proposition on social media and how to integrate it as a successful driver of business sales. 72% of travellers in the UAE and Saudi Arabia with an Instagram account, purchased an overseas trip during the past year and a session led by the social media platform will highlight how powerful visuals can inspire potential travellers and drive business. While other sessions taking place in the Travel Tech Theatre include the Digital Future Summit and Smart Tourism 2020. 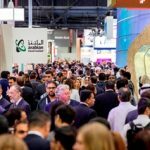 Celebrating its 25th year ATM is considered by industry professionals as a barometer for the Middle East and North Africa tourism sector, welcomed over 39,000 people to its 2017 event, including 2,661 exhibiting companies, signing business deals worth more than $2.5 billion over the four days.